Collage The Origins of Pop II is performed by Peter Blake in a bright decorative color. The selection of components is thought out to the smallest detail. 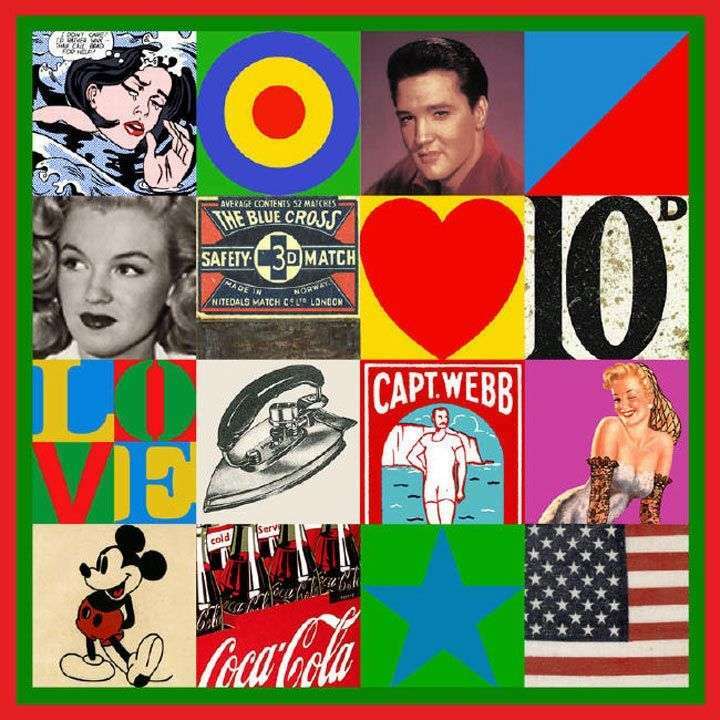 In addition to the personal sympathy of the artist, like Elvis Presley or Marilyn Monroe, the collage includes drawings and photographs of objects of the time, advertising products, paraphernalia of the era. If you carefully consider, then each individual picture there is an explanation of the validity of its place on the poster. Description and meaning of the painting The Origins of Pop II by Peter Blake.